They arrived very quickly, nicely packaged and with a little hand written note which I think added a nice touch. They are very affordable at $12.95 each and $6.95 shipping. As you can see above I picked up three colours from left to right - Miss Sophia, Miss Kitty and Miss Amy. All the lipsticks I picked up are semi matte lipsticks and are just stunning. They are so creamy, very pigmented and they smell amazing! 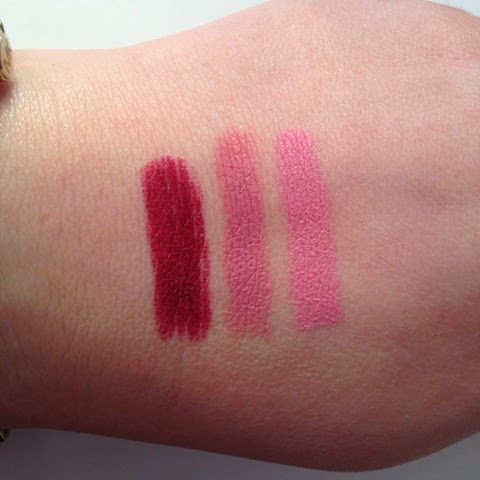 Above are three colours swatched from Left to Right - Miss Kitty - Black Plum, Miss Sophia - Lilac and Miss Amy - Baby Pink. I would highly recommend these lipsticks they are great quality and very affordable to see the entire range click here to be directed to the Shanghai Suzy website and start shopping! 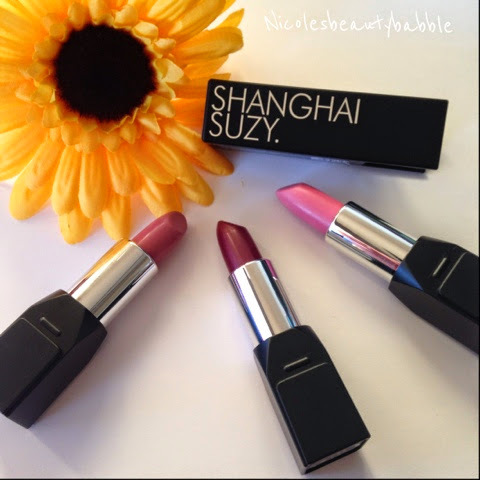 Have you tried any lipsticks from Shanghai Suzy?